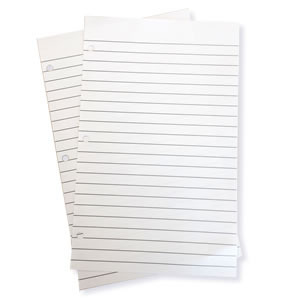 3-hole punched loose leaf notebook paper to fit into 9.5" x 6" three ring binders. Often used by stockbrokers in addition to client pages to write notes. Heavyweight, wide ruled paper. 100 sheets per pack.